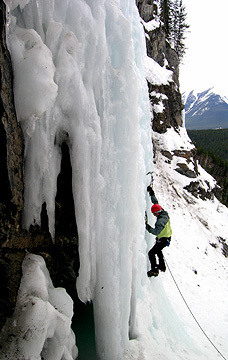 To many ice climbers, the waterfalls of the Canadian Rockies represent the ultimate vacation objective. 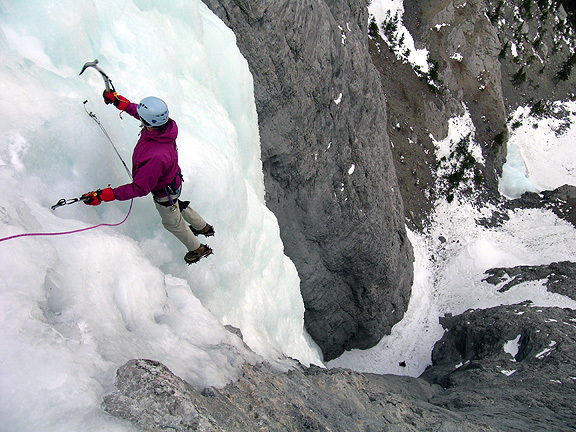 There are literally hundreds of climbs, a tremendous range of difficulty and length. Some of the hardest climbs in the world are found here, as are some of the best routes for the beginning climber just starting. Access is generally easy as most of the climbs are readily approached from the scenic and convenient Banff - Jasper Highway. Many of the climbs are only short walk from the car, while others require a ski or snowshoe approach. 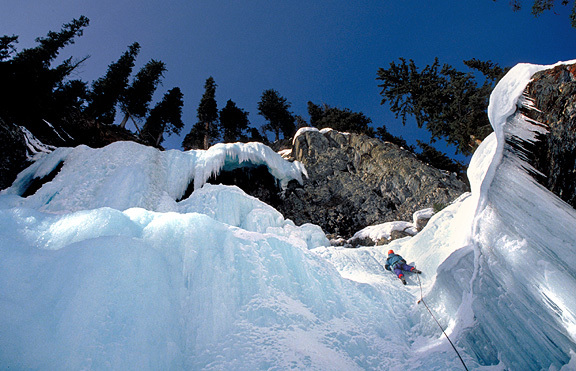 There are convenient hotels and hostels, and most climbers make use of these and the nearby restaurants and bars to celebrate the days excitement. 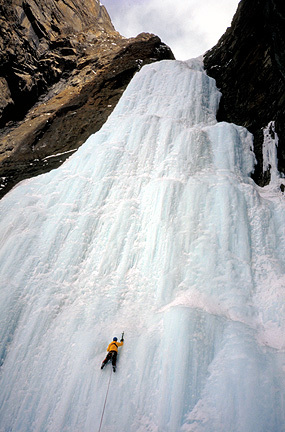 The best season is usually in the month of March when the days are longer, the temperatures mild and the ice more plastic and forgiving to the climber. In the late 80's and early 90's we made annual pilgrimages (sometimes more than one a year!) to this Mecca of waterfall climbing. For the last few years we have continued this tradition.